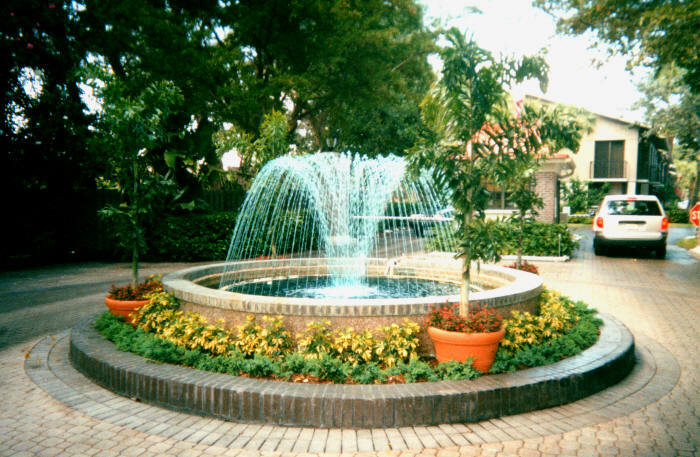 In mid 2008, the Gore Nursery property in Fort Lauderdale was sold to the City of Fort Lauderdale Parks and Recreation Division in an effort to bring more city park property to the area. It was at this time that Fred and Bob Betz turned the company over to Steve Purser, the long time crew chief of over 12 years. 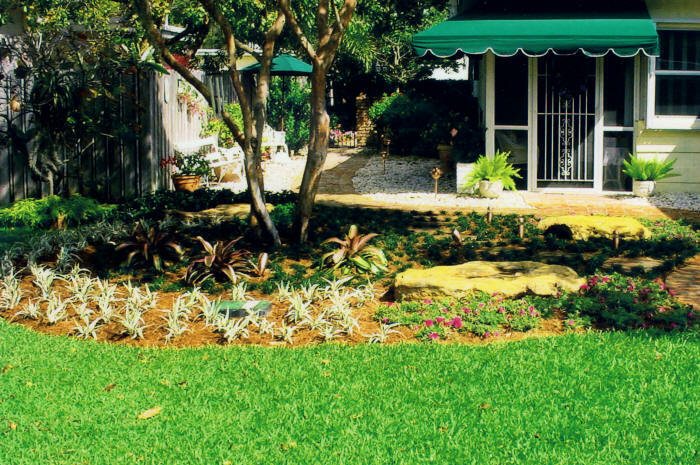 Now renamed “Gore Landscaping”, and with Steve at the helm, loyal customers of the family owned nursery can still count on great landscaping service without having to worry about losing the trust they have been so used to for so long. With new and loyal customers best interests always in mind, these changes will not reflect any increase in pricing or any change in the availability or quality of the plants and trees we provide. Customers can continue to count on the same beautiful plants from the same great suppliers they have come to expect. View some of our creations below. This was one of our favorite small projects. 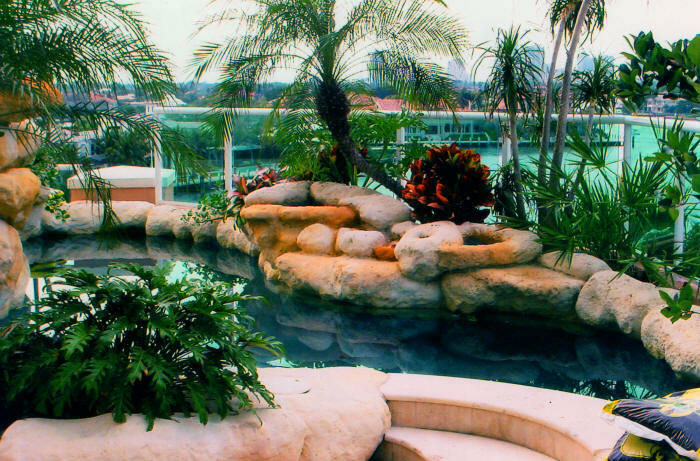 The pool was on the 6th floor balcony of a condo in Fort Lauderdale and overlooked the famous intracoastal waterway. During this project everything had to be loaded to the residence via the cargo elevator for the building. We’re really proud of how it all turned out, since it was pretty barren when we first arrived. We installed the plant bed, planted all the plants surrounding the circle drive, as well as the trees shown and the hedges around the drive. 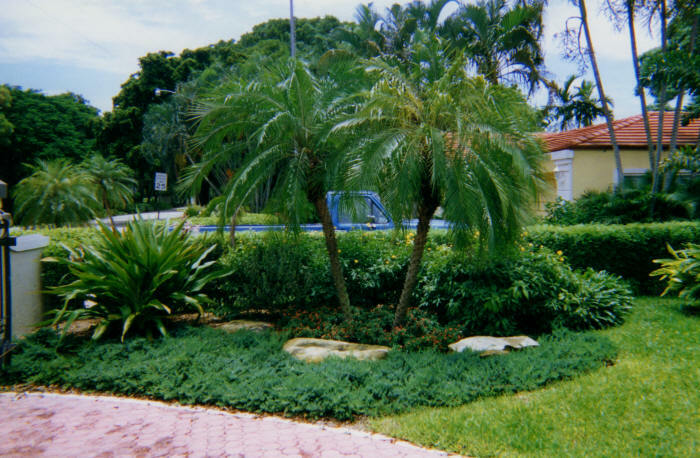 Here we planted 2 palm and a variety of other decorative plants and ground cover as well as the large rocks. 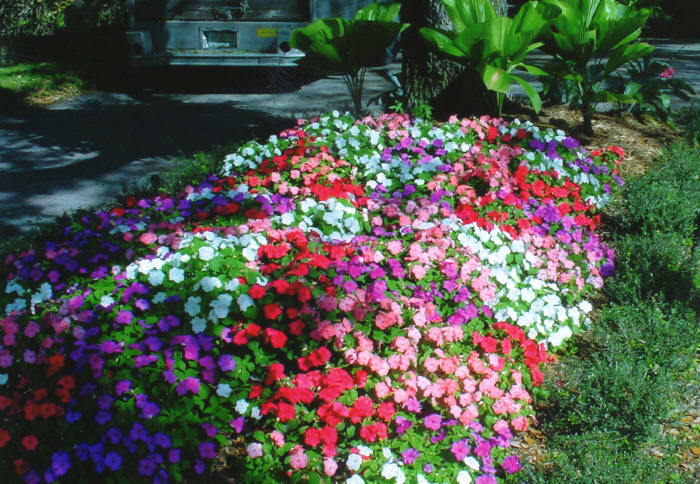 We do flower beds like this all the time. This is the before picture of a small job in Rio Vista. 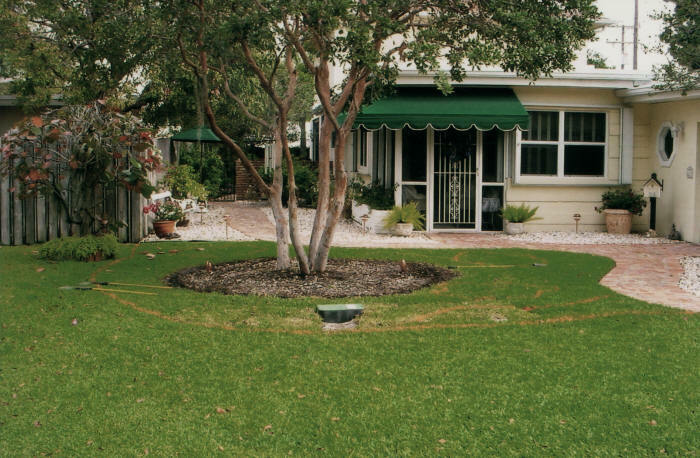 You can see the layout lines of the planned improvement around an existing tree. This is the after picture of a small job in Rio Vista. By referring to the before picture, you can really see the difference, and these plants haven’t even grown in yet.